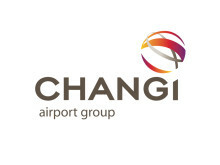 SINGAPORE, 28 June 2015 – Singapore Changi Airport handled 4.48 million passenger movements in May 2015, a growth of 2.6% compared to the same period in 2014. Flight movements increased by 0.4% to 29,000. 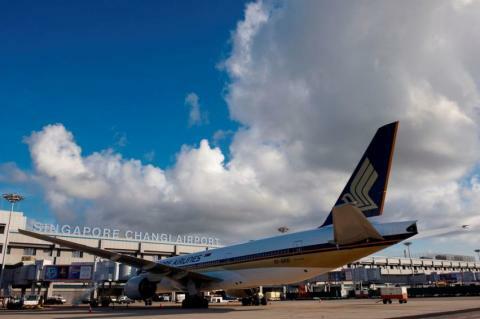 During the month, 157,000 tonnes of airfreight were processed at Changi, a 0.3% decrease year-on-year. Traffic growth in the month of May was fuelled by travel demand across Asia, offset by a decline in Europe and Southwest Pacific travel. Among Changi Airport’s top 10 country markets, passenger movements to and from China (+9.5%) and Thailand (+18%) registered the strongest growth. For the 12 months ended May 2015, traffic between Singapore and these two markets rose 1.0% and 2.9% respectively. This was the first increase on a rolling 12 months basis since July 2014 for China, and March 2014 for Thailand. As at 1 June 2015, more than 100 airlines operate at Changi Airport, connecting Singapore to over 320 cities in some 80 countries and territories worldwide. With more than 6,700 weekly scheduled flights, an aircraft takes off or lands at Changi roughly once every 90 seconds. New Airlines – Bangkok-based low-cost carrier NokScoot (IATA: XW) launched its daily service from Bangkok Don Mueang to Singapore on 20 May, making it the eighth airline to operate between the two cities. New Services and City Links – Tigerair introduced a new 4x weekly Singapore–Ipoh service on 29 May, the fourth Malaysian city in its network. On 30 May, SilkAir introduced a thrice-weekly service to Cairns, Australia, on a circular routing with Darwin. A new city link, Cairns is the eighth Australian city served from Changi Airport, which is the most connected airport in the world to Australia in terms of airline seats available. New Stores – Known for its leatherwear, Bonia Natural has opened its second airport store in the transit area of Terminal 3. Over in Terminal 1, Changi Recommends has opened its first outlet within the transit area, offering departing passengers quick and handy travel solutions such as flight ticketing and overseas SIM cards, as well as a range of attractive souvenirs. Chocolate boutique The Chocolatier has also made its debut at Changi with its first store in Terminal 2 (Transit). For dining offerings, passengers can now enjoy O’Learys’ second sports restaurant in Terminal 1 and the newly opened Terminal 2 kiosk by Pizzeria PEZZO, famed for their pizzas by-the-slice. Changi Airport is the world's sixth busiest airport for international traffic. It served a record 54.1 million passengers from around the globe in 2014. More than 350 retail stores and 160 F&B outlets are situated across three terminals to cater to passengers and visitors. With over 100 airlines providing connectivity to 300 cities worldwide, Changi Airport handles about 6,700 flights every week, or about one every 90 seconds.